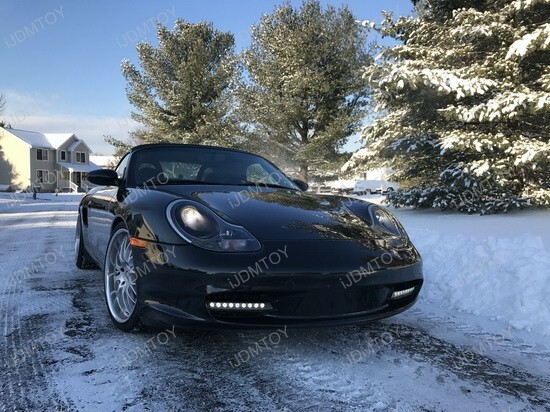 Updates and News about Porsche for cars installed with iJDMTOY LED lights, HID lights and more. Tow hook license plate adapters are what many drivers are installing on their cars as a substitution to the traditional front and center license plate. These no drill license plate adapters are a great upgrade for drivers who don’t like their front license plates positioned in the center of the car for aesthetic reasons. Before no drill adapters were introduced, people had to go through some painstaking installation to drill the front bracket into the side of the bumper and permanently modify their car, or they had to just go without a front license plate and risk a traffic citation. 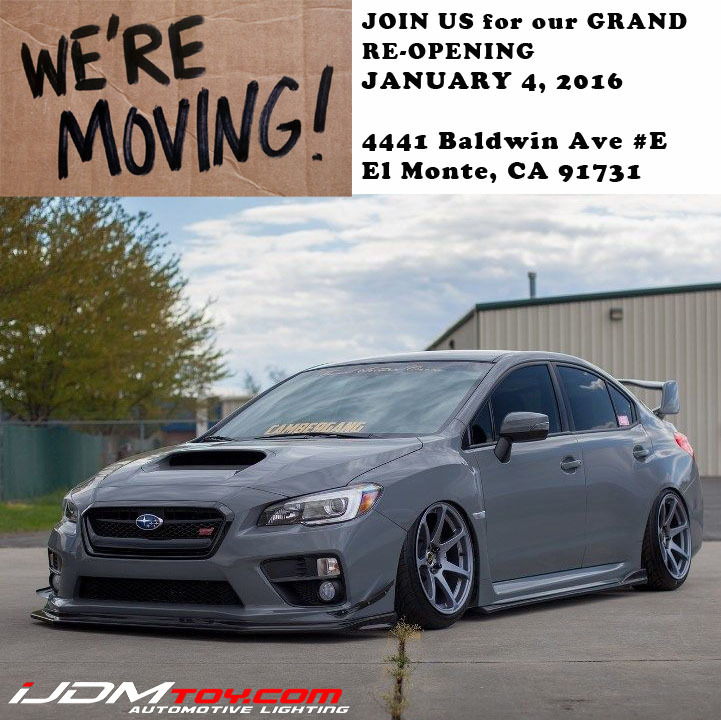 Nowadays, iJDMTOY has a whole line of no modification required tow hole license plate mounts dedicated to all kinds of vehicles. 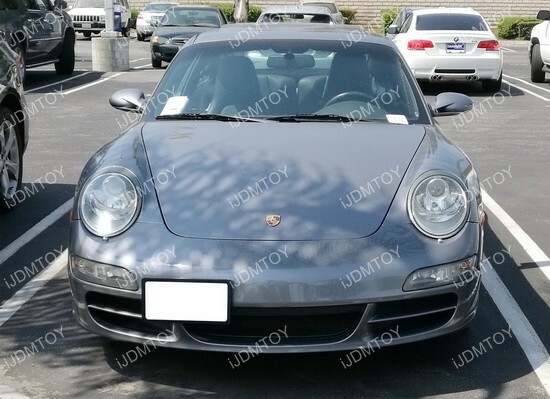 The car being showcased today is the Porsche and you can see that the license plate adapter definitely brings out the sportiness of the coupe and also manages to maintain the classiness of the aura. The Porsche Cayenne was the first SUV Porsche has ever made with the first generation starting at 2002. Now to join the elite team is the Porsche Macan but it still can’t compare with the presence of the Cayenne. When you own a vehicle like the Cayenne, you want to stand out from the rest, especially when it comes to another Cayenne. 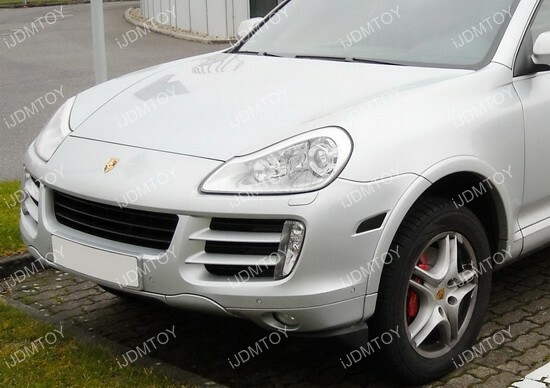 That’s why we have the iJDMTOY Porsche Cayenne LED switchback side markers. It brightens up the sides of your cars and easily be seen by other vehicles.